Hi everyone! Fall has arrived. Get ready for the cold weather by checking out these new arrivals! 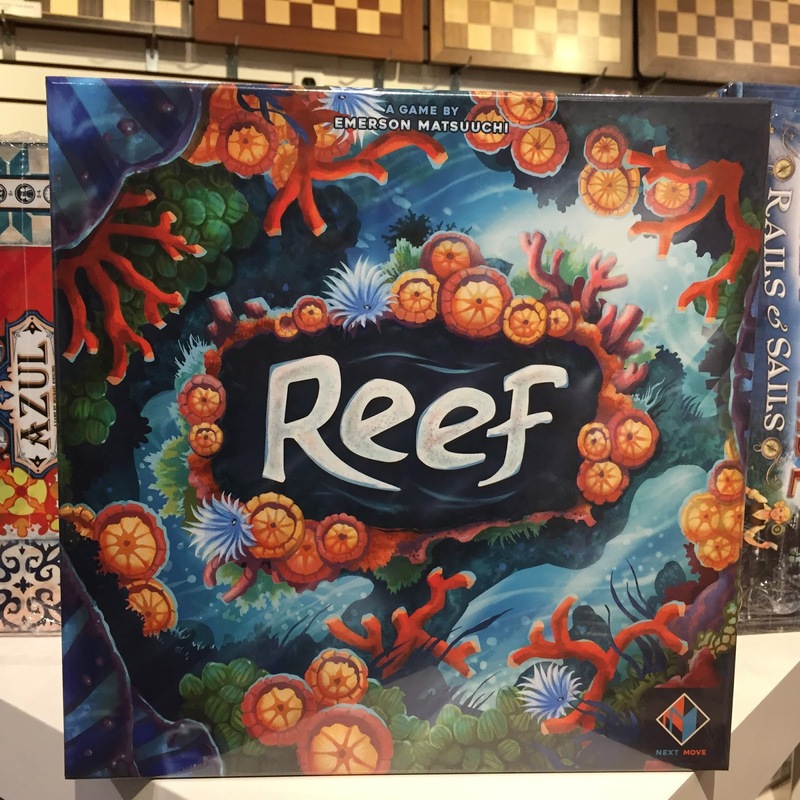 Reef is the newest game from Emerson Matsuuchi, designer of the Century series, and Next Move Games, publisher of the most popular game of the year: Azul. Reef lives up to this illustrious legacy, as a colorful, beautiful game that's easy to get into but has plenty of depth to explore. Players each construct their own reef out of colorful pieces. The cards that let you claim pieces also give you new ways to score, so plan carefully to win big. 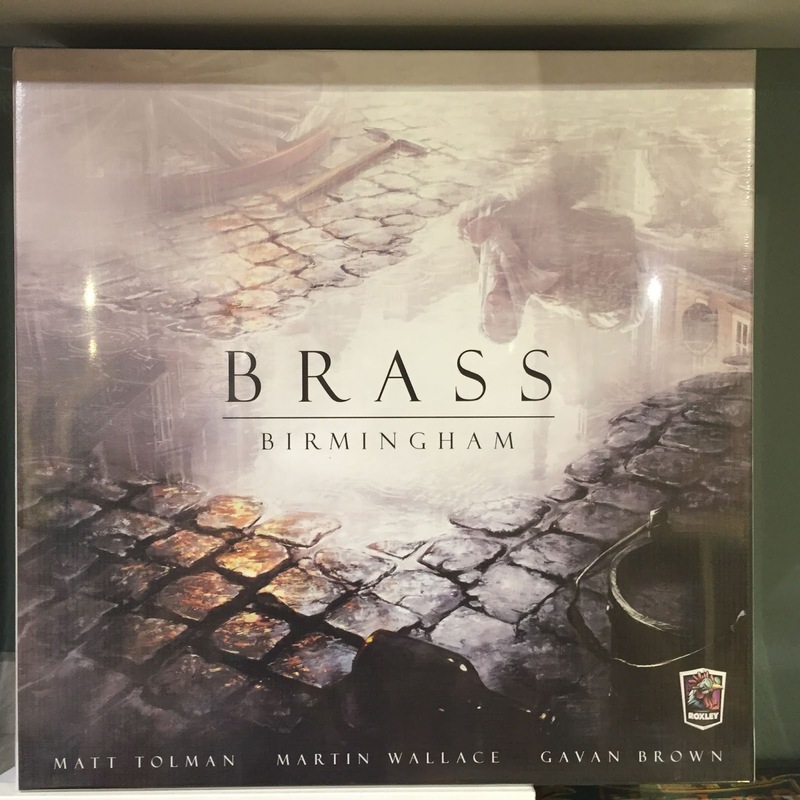 The sequel to the 2008 game Brass: Lancashire (which popped up in a recent edition of What's New at Labyrinth). 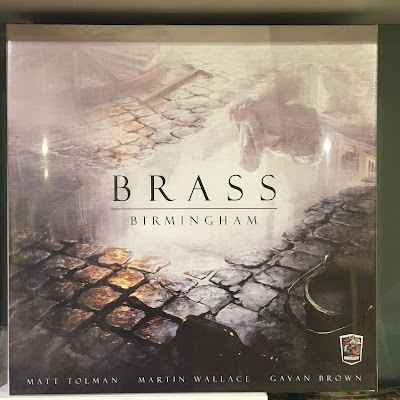 Taking place in an all-new location, with new actions and buildings available, Birmingham retains its predecessor's core of excellent economic strategy, while shaking up the formula and enhancing it with a rebalanced economy and new options. Worth checking out! 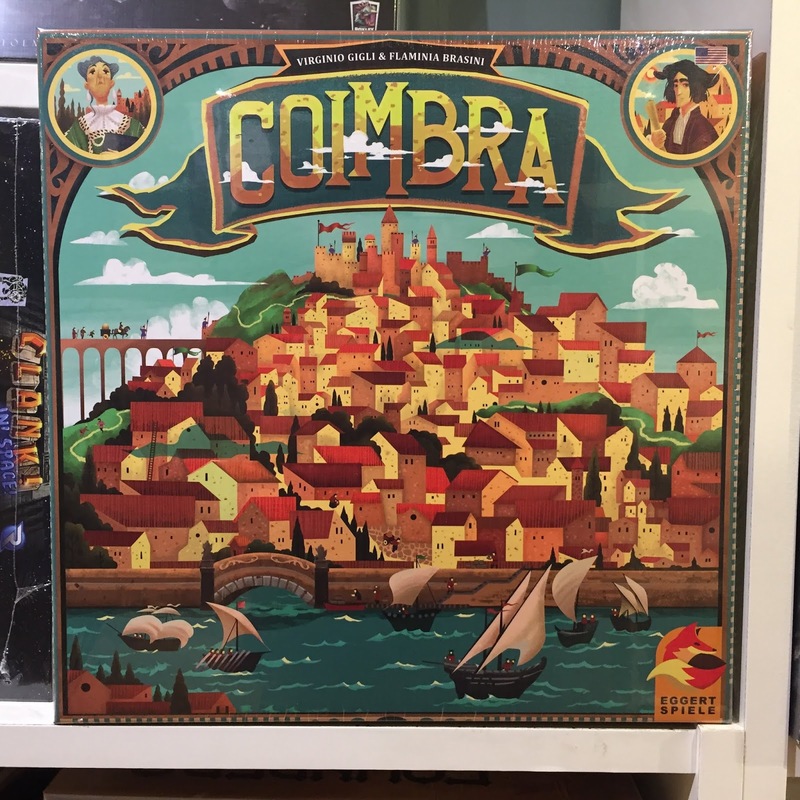 Coimbra is a card-drafting game set in Renaissance Portugal, within the cultural center of Coimbra. As scions of the city's most prominent families, players compete for influence and status by improving the city's circumstances. Will you fund a new expedition to the New World, or look closer to home and help build a new monastery? 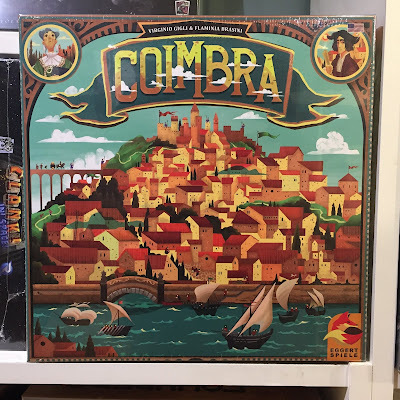 There's many different paths to victory in Coimbra. Overlight is a brand-new fantasy RPG from Renegade Games. Describing itself as "kaleidoscope fantasy" inspired by the prog-rock albums of the 1960s and 70s, Overlight is set in a fantastic cosmos where 7 floating continents hover above a sea of stars and below an unblinking sun called the Overlight. 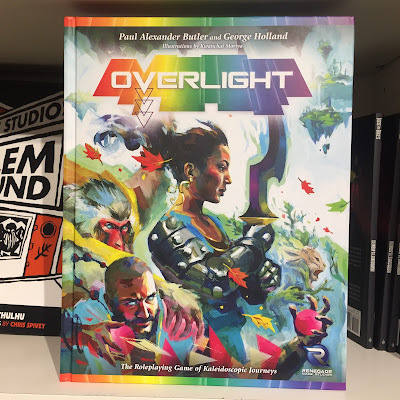 This broken world is not as it should be, and heroes who can manipulate the spectrum of the Overlight, the Skyborn, must use their powers to heal its scars. A brand new take on the fantasy genre, this is worth looking at by any gaming group. 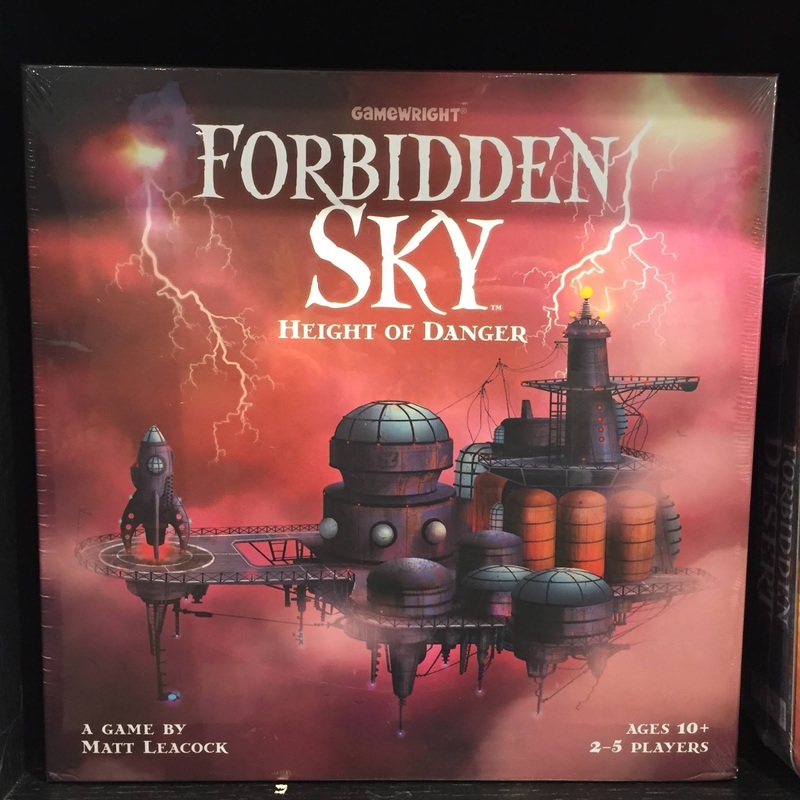 Forbidden Sky is the newest entry in the Forbidden series, and the most ambitious to date. Trapped aboard a mysterious floating platform in the midst of a raging lightning storm, players must explore the station for supplies to construct a circuit. This is a real circuit, too--each piece conducts electricity and you must complete the loop in order to launch the escape rocket. Fans of Forbidden Island and Desert, don't miss this one! 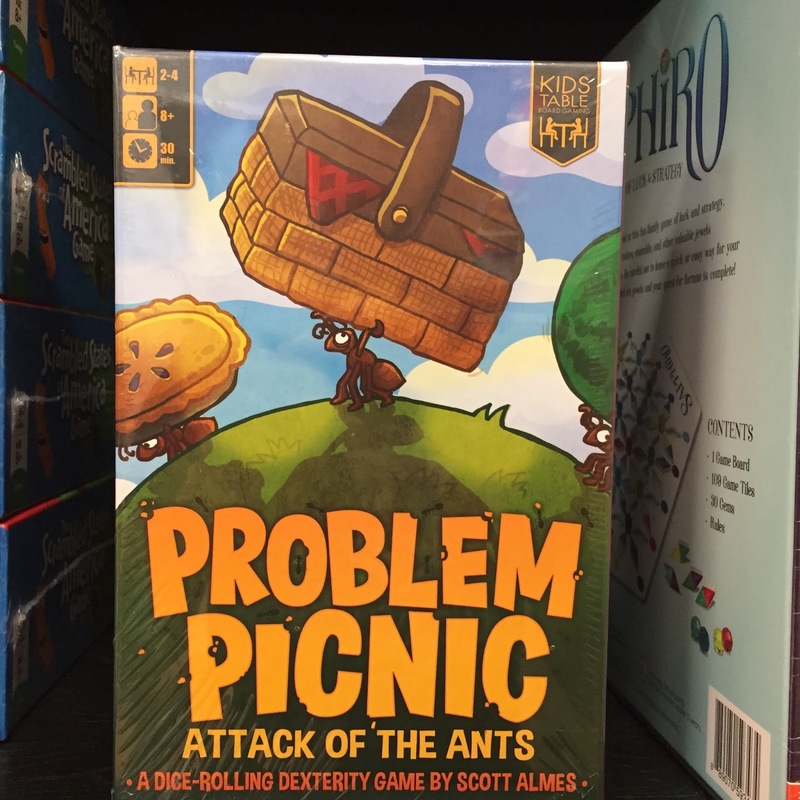 Problem Picnic is a hilarious new dice-rolling game where the players come together to ruin a lovely day out. Take on the role of one of several competing colonies of ants, roll your dice onto the food plates. Each die is an ant, and you must cast your workers carefully to seize the delectable prizes on display. Satisfy your queen to win! Deja Vu is a new twist on memory games, experimenting with the mind's ability to fool itself. The center of the game is a 36-card Item Deck, with each of the 18 items having two cards. Each round you go through the deck, revealing items, then discarding them. If you think that you've seen the item before in the round, then race to grab its corresponding tile. If you're right, then you get its points at the end of the round. But if you were wrong and an opponent calls you on it, you're out! Each round gets harder as you have to remember what's come out this round versus previous rounds. A devious challenge. Eye Sea is a game of speed, word association, and improvisation. 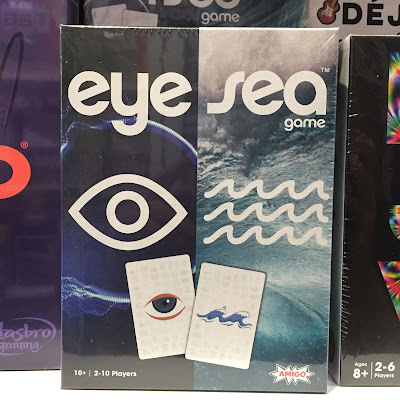 Each round, two picture cards are flipped, and whoever can speak a word or phrase that combines them—for example, the titular "Eye Sea"—gets to claim the cards as points. Inventiveness and an adaptable mind are the keys to victory here. 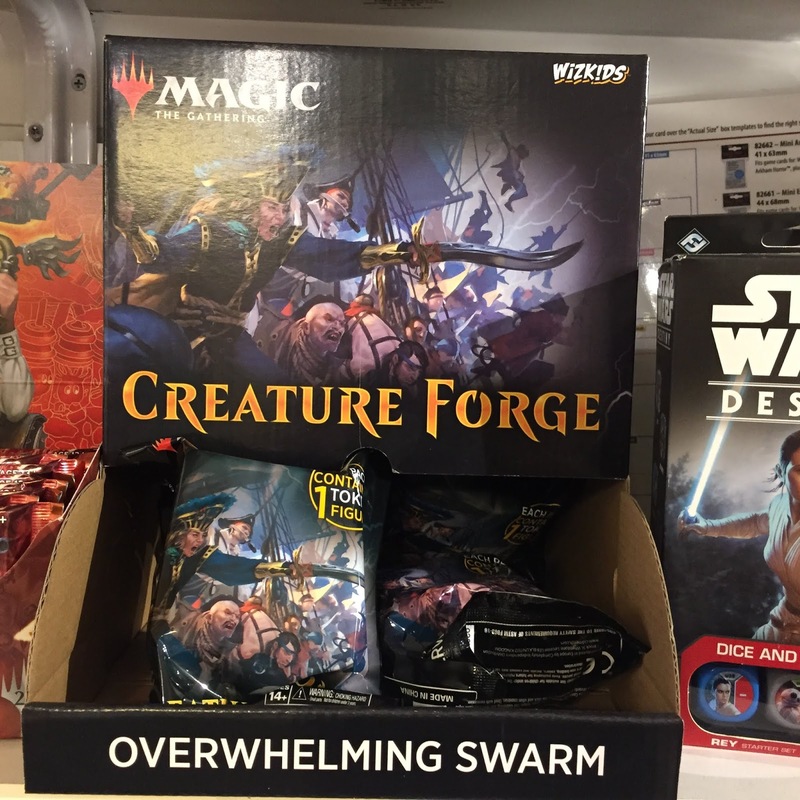 Magic: The Gathering is getting in on the blind-box miniature racket with their Creature Forge set. Each blind box contains a fully painted miniature representing one of the Tokens in a recent set, along with a card representing that same token. Don't underestimate the competitive edge that a miniature dinosaur on your side can bring! Grab some blind boxes and see. 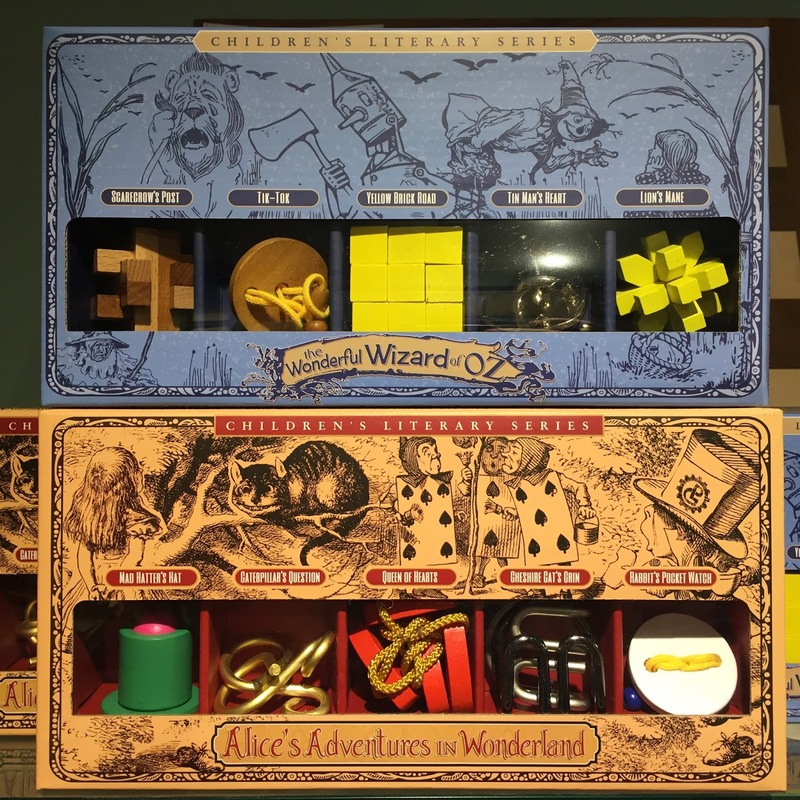 Finally, we have two new sets of themed ring puzzles. 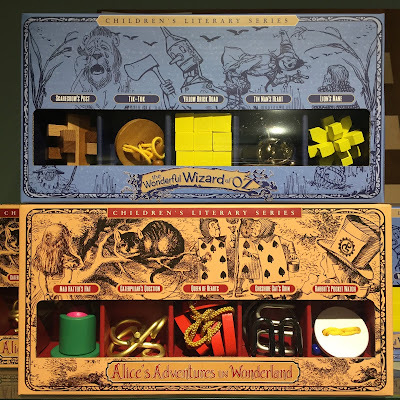 Return to the lands of Oz and Wonderland while challenging your hands and brain with one of these 10 new ring puzzles. Great for fans of the classics in question, or just puzzlers. 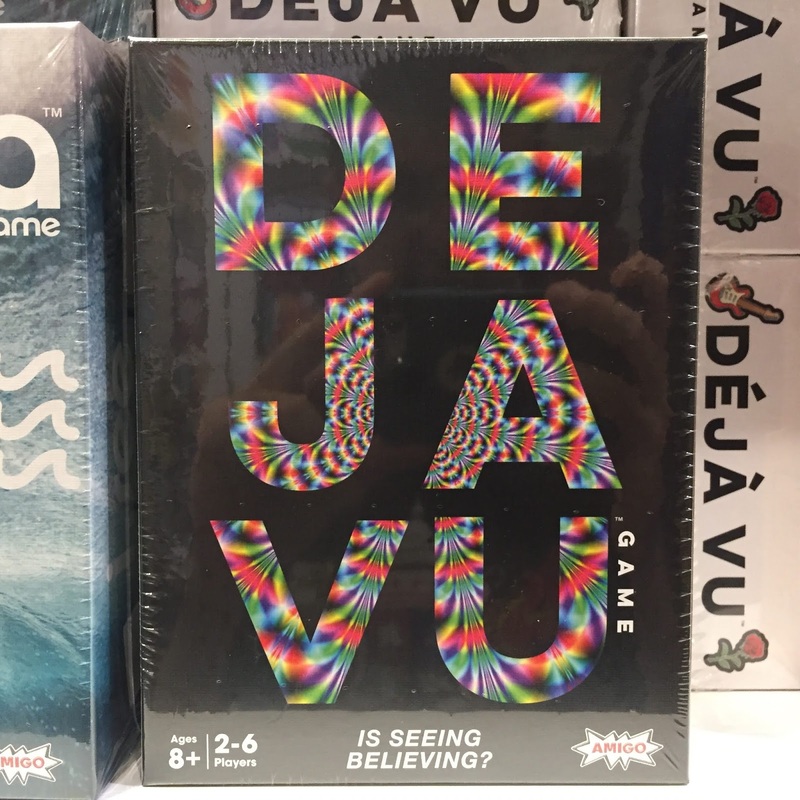 Deja Vu is a new twist on memory games, experimenting with the mind's ability to fool itself. The center of the game is a 36-card Item Deck, with each item having two cards. Each round you go through the deck, revealing items, then discarding them. If you think that you've seen the item before in the round, then race to grab its corresponding tile. If you're right, then you get its points at the end of the round. But if you were wrong and an opponent calls you on it, you're out! Each round gets harder as you have to remember what's come out this round versus previous rounds. A devious challenge. And that's all we have for this week. Check back next week for more What's New at Labyrinth!